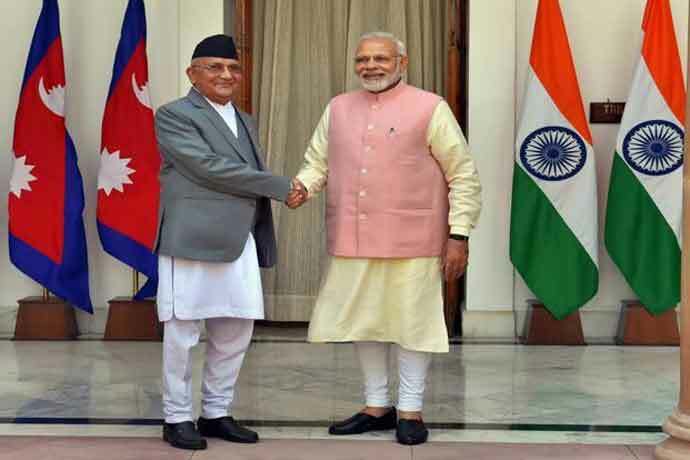 The article is jointly authored by Madhukar SJB Rana, former finance minister of Nepal, and Atul K Thakur, a New Delhi-based columnist. So far, Prime Minister Narendra Modi's vision for "cooperative federalism" was a commitment shown in public that has not been realised through action and outcome. Under his leadership, his party, the BJP, is forced to pursue a polity without an inclusive outlook. Precisely, all that was said was not done. 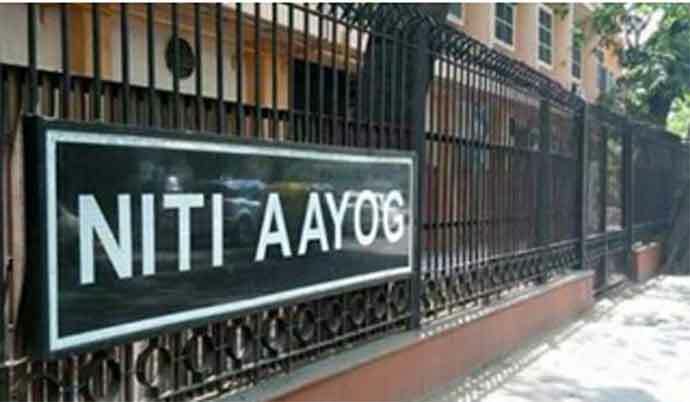 Of late, Niti Aayog is holding the baton to seek a bottom up development through its "Aspirational Districts Programme". The programme aims to quickly and effectively transform the selected districts. The broad contours of the programme are convergence (of Central & State Schemes), collaboration (of Central, State level 'Prabhari' Officers & District Collectors), and competition among districts driven by a mass movement. With States as the main drivers, this program will focus on the strength of each district, identify low-hanging fruits for immediate improvement, measure progress, and rank districts. With setting aside the "competition element among districts", the programme offers little room for any major reform in the rural development programmes already on ground through Panchayats and Municipal Bodies in India. Also, in keeping such a restricted view on decentralised development, the grand irony gets deeper when the slogan like "competitive federalism" still comes out at times. If we think on the same in the case of Nepal, it is unlikely that a top down driven development paradigm comprising national planning, state enterprises, labour unions will allow inclusion of all and a programme like the one that Niti Aayog has started. This can only happen when opportunities are created for all by supporting markets garnished by agrarian, economic, financial, administrative and labour reforms — and not through just offering "Seven State Governments under Federalism". Not the least, maximising a bottom up development paradigm with maximum scope for local leadership development and culture specific innovations to achieve Sustainable Development Goals (SDGs) depend much on the locals themselves in tune with their own capacity to deliver. Inclusive Growth must mean growth with productive employment by creating opportunities for jobs and by investing in one's human capital development of oneself and family members for the jobs. Planning must be macro, meso and micro, all harmonised strategically. The macro plan must project the desired structure of the economy for the next 25 years and the five year plan must be a human resource development plan that addresses the human capital requirements for the perspective economy of the future based on manpower supply and demand projections and plans judiciously integrated with the educational plan that opens avenues for vocational, apprenticeship, technical and technological for the variety of occupations in the national economy and in the global labour markets. In other words, the State will have 5 Five Year Rolling Macro Plans that will be supplemented by Meso Plans to strategically manage education, health, gender, children, youth, old age, disabled, castes and creeds, urbanisation, water, energy, ICT, transportation, investment, saving, capital markets, credit flows, exports, imports, taxation, and also corporate governance, entrepreneurship development, R&D; S&T, and monopoly regulation, for example, depending on the number of ministries. The fewer the Ministries the better. And Micro, Small and Medium Enterprises (MSMEs) and Social Entrepreneurs are vital actors in the formulation and execution of the national and sector plans, as well as the creation of urban clusters and supply chains. Inclusive growth requires that we take in a host of factors and forces like geography, demography, social factors and forces, governance etc. and hence has to be participative to require decisions at all levels and all actors - not just the state guided by the National Planning Commission (NPC) with its very weak basic and applied research capacities coupled with rapid turnover of planners with the political changes. What is now needed is the framework of an Integrated Sector Programming and National Performance Budget governed by a sound Fiscal Responsibility and Budget Management Act (FRMBA) as exists in India, for example, where outcomes are underscored rather than simply inputs and outputs. Nepal's development plan has to be framed in the perspective of the opportunities from India, China and Bangladesh in due cognisance of its economic structure and development constraints. It requires the policy planners and business from both public and private sectors to be proactively engaged in national and sector dialogues with each other — to set down targets and outcomes for coordinated policy and designing of sector and multi-sector programmes aligned with the annual performance budgets. Also, the feasible economic growth targets have to be assessed for each 5-year periods first and foremost in consensus with the political parties — and not be driven by external agents and fanciful notions of the political leadership who are very weak in their understanding of economics and finance. The Gross Domestic Product (GDP) and sector targets should be set in a realistic manner and accordingly the action should take place to secure the best possible outcome. Each target must be supported by country wide action plan and programme. This requires development of both import substitution and export promotion strategies in partnership with the private sector to include targeting massive inward Foreign Direct Investment (FDI) to compensate for low gross household savings. This requires a new foreign exchange regime where all commodities are put in a common basket and the foreign exchange rate derived accordingly - and further, the devaluation of Nepali Rupee to protect the interests of local agriculture production against the subsidised exports. Subsidies to farmers is a sort of necessity with a national drive on irrigation infrastructure. Yes, costs have been borne at the household and individual levels with the pain and suffering of international migration and debts incurred for it. However, one can take advantage from the challenges by planning the remittance economy better so as to empower women as head of household and the girl child with the skills to fill in the job vacancies as happened during WWI and WW II that liberated women once and for all in the West. Finally, given all the above parameters and their variables for inclusion there was really no need for an ethnicity-based Inclusive State to render justice to all and the next generations. Yes, Nepal needs an Inclusive Constitution, to not exclude or discriminate against anyone. Primarily, to ensure the supremacy and the rule of law by having independent institutions to check abuse of political authority and guarantee accountability, transparency, competition and merit in the body politic for public good. It would be much wiser for Nepal to devolve responsibility to the local government units!